We never learn her real name. All we know is that X is writing in her journal, documenting what she believes to be her last days, and that she sounds more like a soldier than a 15-year-old girl. Hiding out in the cellar of an old farmhouse, X has a gun with two bullets--one for her defense, and the other perhaps to end her own life, if (or when) it comes to that. She simply doesn't know how much longer she can survive. But she hasn't given up yet! And as long as she can find supplies, to get through the long days and the longer nights, she will continue to hide out in the cellar from the things outside that are trying to get in. This was such an interesting story! My only complaint is that it was too short! A quick read, full of mystery and gripping from start to finish, I was dying to know what happened with each turn of the page! And somehow (although I cannot tell you how, but it was cleverly orchestrated), I felt pulled into the story and made to be a part of it! Fantastic! 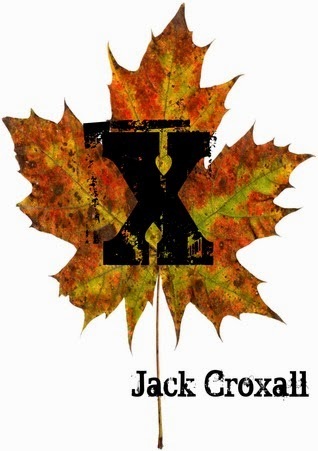 With the leaves changing colors, and the turning of the seasons, this is the perfect time to read X! Grab a glass of wine and settle in, just don't forget to lock the doors and windows!